From an obsession with macarons of Pierre Hermé and Ladurée stemmed to a passion of baking macarons, Connie Mar of J’Adore Les Macarons brings a bite of Paris to Vancouver. A bite of her macarons would certainly make one say “J’Adore Les Macarons!” Trained at Le Cordon Bleu and at Lenotre campus on the Champs-Elysee in Paris, France, Connie Mar has carried her secrets and techniques to craft some of the most exquisite and memorable macarons. Macarons are made straight from her kitchen. Connie is also the organizer of the Baker’s Market, a sweet event in Vancouver that is occurring every Saturday from March 30 – May 4. Macarons are made exclusively at Connie’s home. When students arrive for a macaron lesson, they are greeted in a room that makes you feel like you were transported to France. Each person is started with a cup of tea. 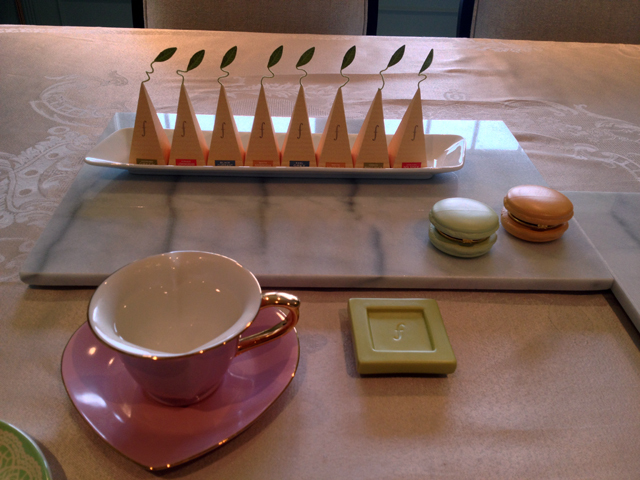 Those macarons on the plate are actually ring boxes! 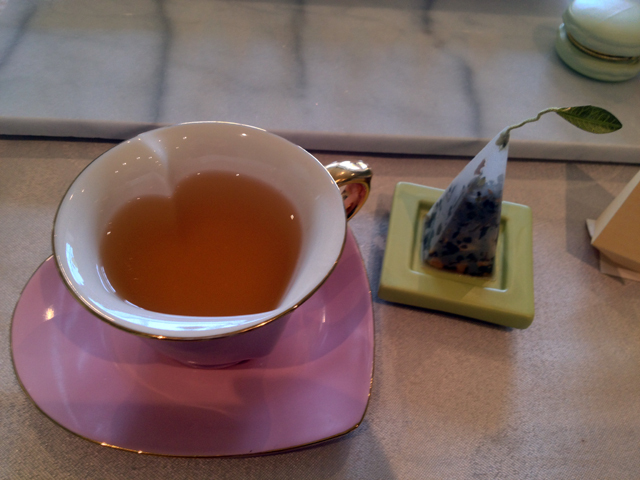 Before I even tried a macaron, this heart shaped tea cup had already made me smitten! How would one use tiny furniture? To display macarons of course! 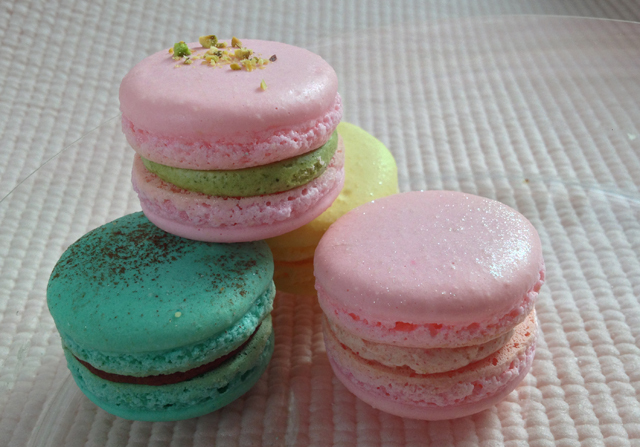 The macarons with a buttercream filling are Strawberry, Hazelnut Praline and Matcha. A signature macaron of J’Adore Les Macarons is the Meyer Lemon, which is a mixture of mandarin and lemon, and it has a curd filling. The Dark Chocolate macaron contains a chocolate ganache made of 66% Valhrona dark chocolate, the finest from France. There are several options to have your macarons to go. 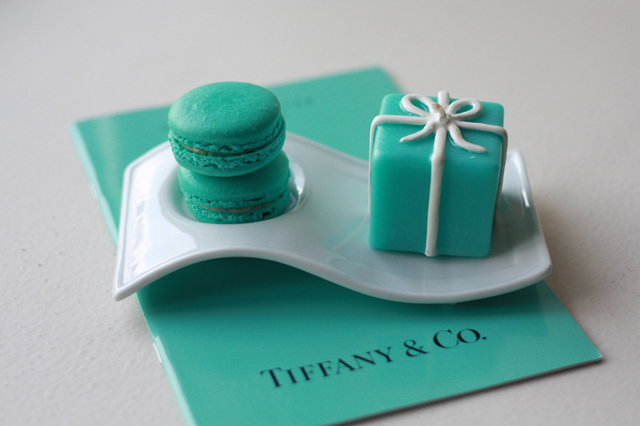 Whether you want to give one macaron as a party favour or a whole box as presents, you will find a packaging suited to your needs. Macarons are $2 a piece. 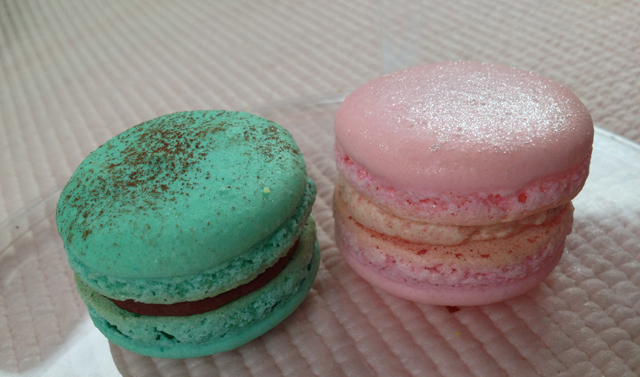 To order them, you can contact J’Adore Les Macarons to find what flavours are instock. 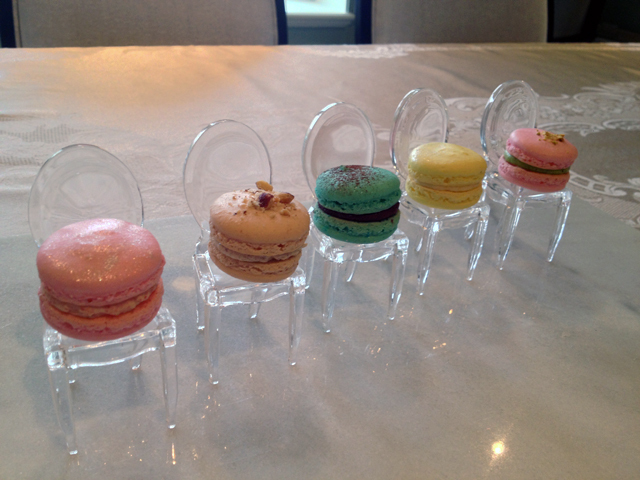 Customized macarons can be ordered as well. 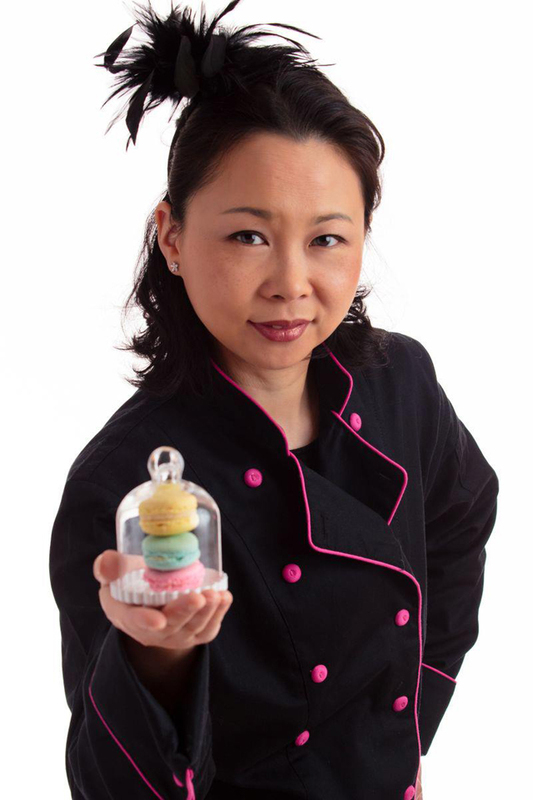 Connie also offers macaron baking lessons in her kitchen where she shares her secret tips and tricks to producing a Parisian macaron. Classes are $100 each for four hours long. Each class is limited to 4-5 students. J’Adore Les Macarons not only put the French culture in their macarons, but also heart. 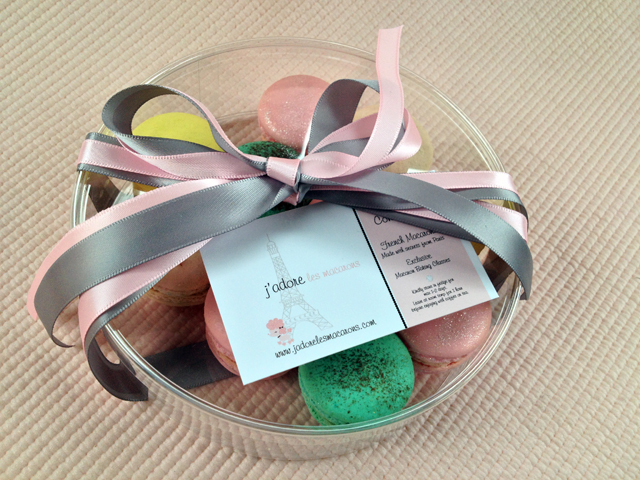 Macaron lovers, please add J’Adore Les Macarons to your to-eat list! To order or to join a class, you can contact Connie Mar, and pickup is near Cambie and King Edward Canada Line Station. You can stay connected via Facebook as well. 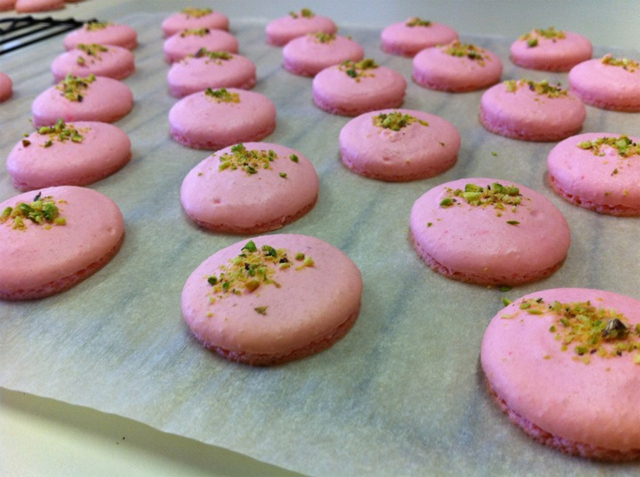 Many people are unsure what to expect in a macaron. 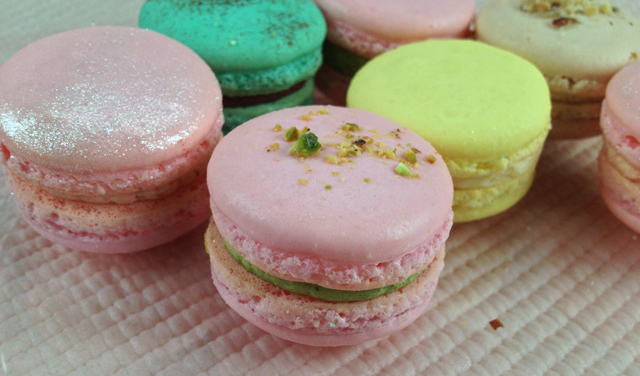 Look out for my next macaron post, on How To Eat A Macaron, taught by Connie Mar of J’Adore Les Macarons! Pictures (except featured image and stated images) and Article by: Whitney Hong; Stay connected with me via Twitter (@wheetnee) or Blog (WandsAndPliers)!